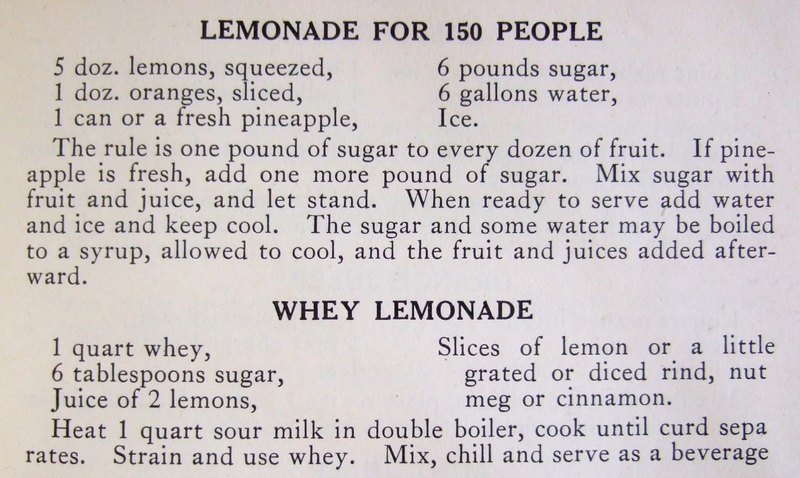 This entry was posted on June 10, 2015 at 11:14 am and is filed under FOODWAYS, Tradition of Deceit. You can follow any responses to this entry through the RSS 2.0 feed. You can leave a response, or trackback from your own site. 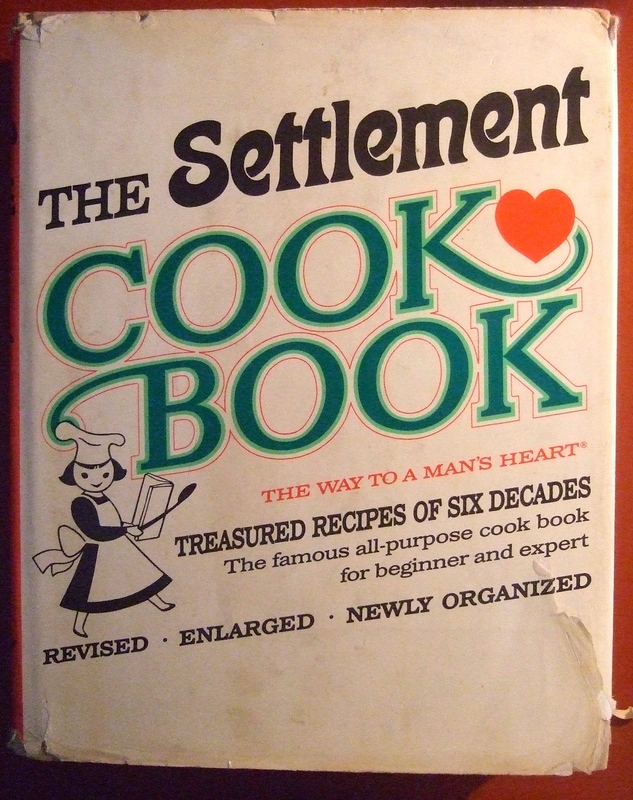 Hi Kathleen, There are 4 Settlement cookbooks in our family, used my grandmother, mother, me, and my grown children. They are used often, pretty much as a reference book as well as a cookbook. Kathleen, how special that they have been shared through the generations! 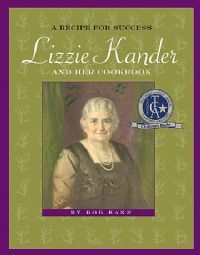 It’s a testament to how thorough Ms. Kander was, I think, that so many cooks have found it so helpful, for so long. 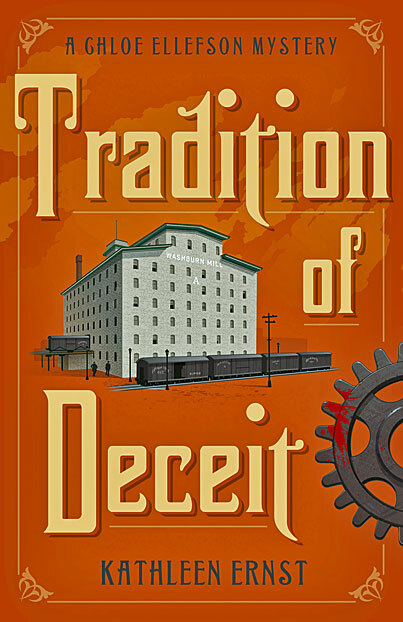 I had no idea this book had Milwaukee roots! 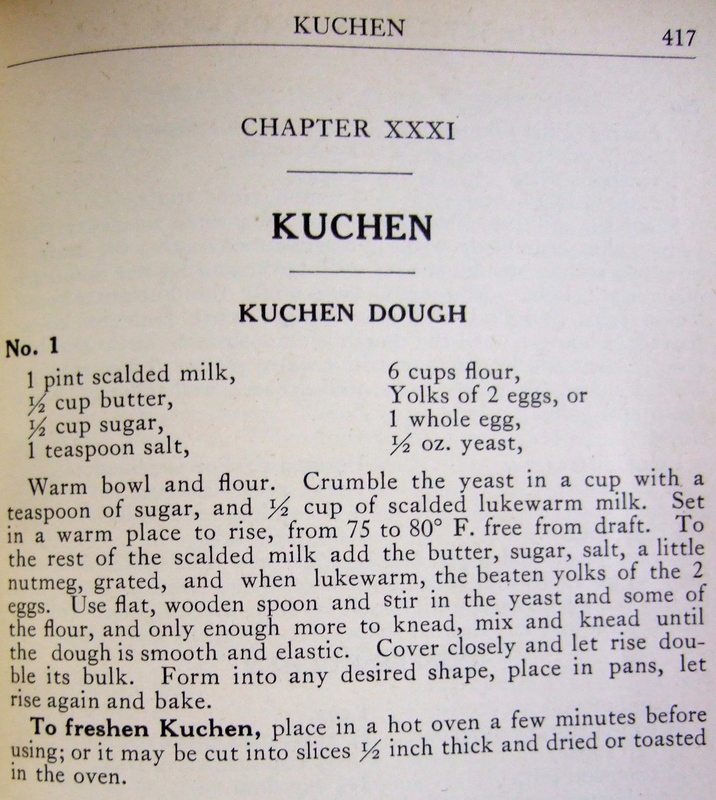 Any cookbook with a chapter on kuchen is OK with me. What a wonderful and tangible way to change the world! Thanks for sharing – I didn’t know about that project! Alas, the 1921 ed. seems to have been produced with a very cheap binding, as copies of that edition are very hard to find today. My grandma’s copy is completely missing its hard cover, and the paper is thin and brittle. Hilariously enough, the pages that had her kuchen recipe are literally glued together with . . . probably meringue. She always put meringue on top of her fruit kuchens. It was a surprise to see what is basically my grandmother’s famous fruit kuchen recipe in this book, because we always assumed she learned to make it from her immigrant mother. Of course, by the time I entered the scene in the 1960s, Grandma certainly didn’t need to look at a recipe for it! . . . 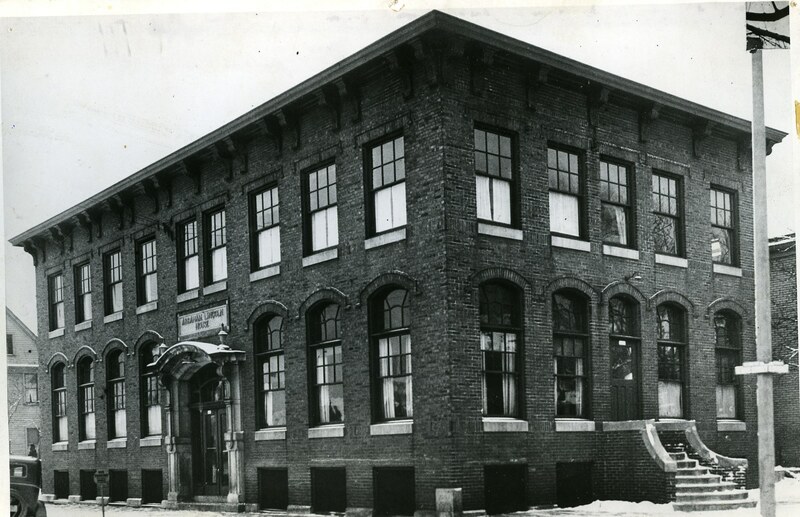 If you’re interested, the Hathi Trust has loads of old books scanned from library copies. That’s where I found a version of the 1921 ed. that I can peruse to my heart’s content: https://catalog.hathitrust.org/Record/008696042 . . . If you’re interested, my grandma’s fruit kuchen (more or less) is on pp. 411-12, using “Cookie Dough for Pies” no. 2, p. 404, for the pastry component. Just add a meringue on top, and you’ve got one of my family’s most beloved recipes. Julie, thanks so much for sharing! 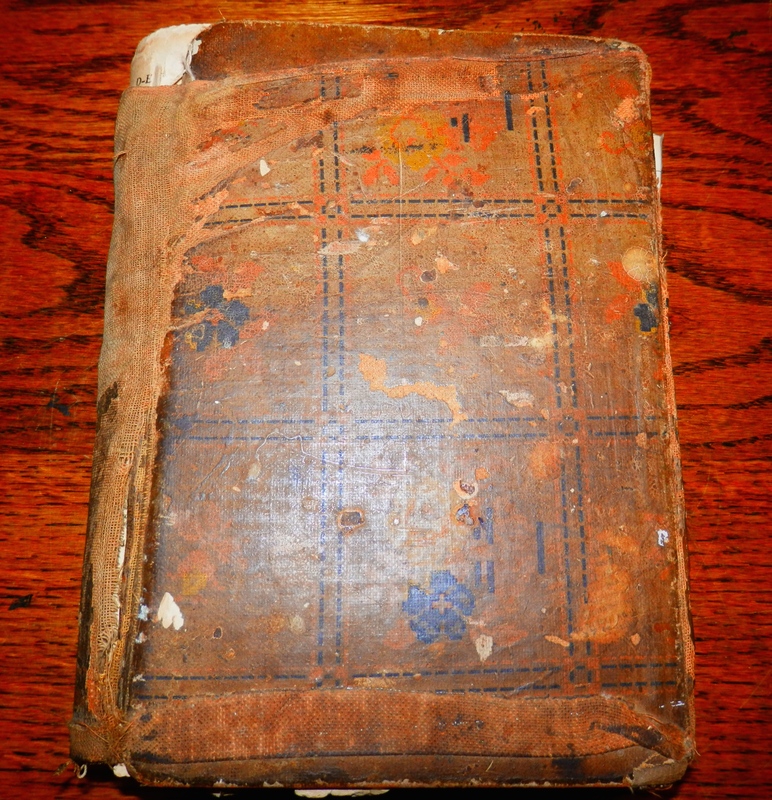 How special that you inherited your grandma’s copy, even if it is in rough shape. (I love the image of pages cemented together with meringue!) 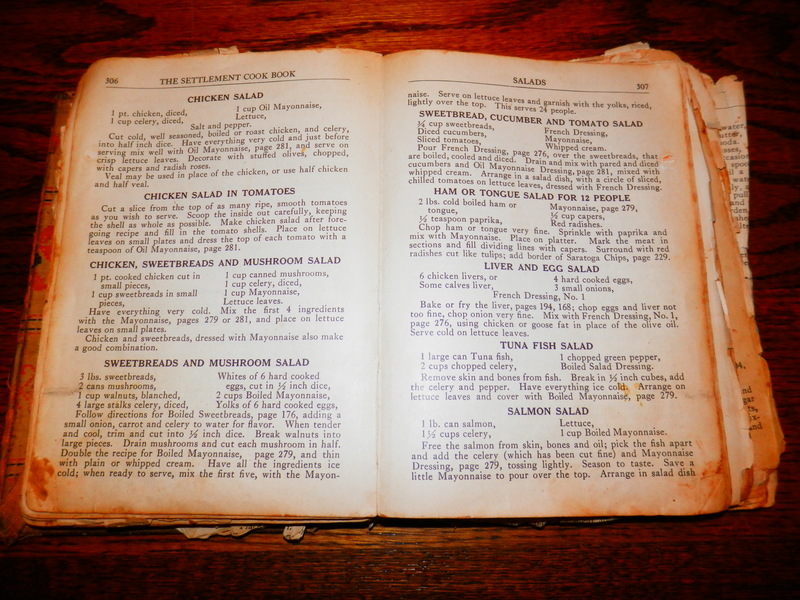 Whenever I come across an old cookbook, I look for the stains that indicate beloved recipes. Thanks too for sharing the link, which is new to me. I’ve never had a kuchen with meringue, but now I will have to try it!